The Holidays are coming up and like you lovely ladies, we plan to recharge our batteries for that. 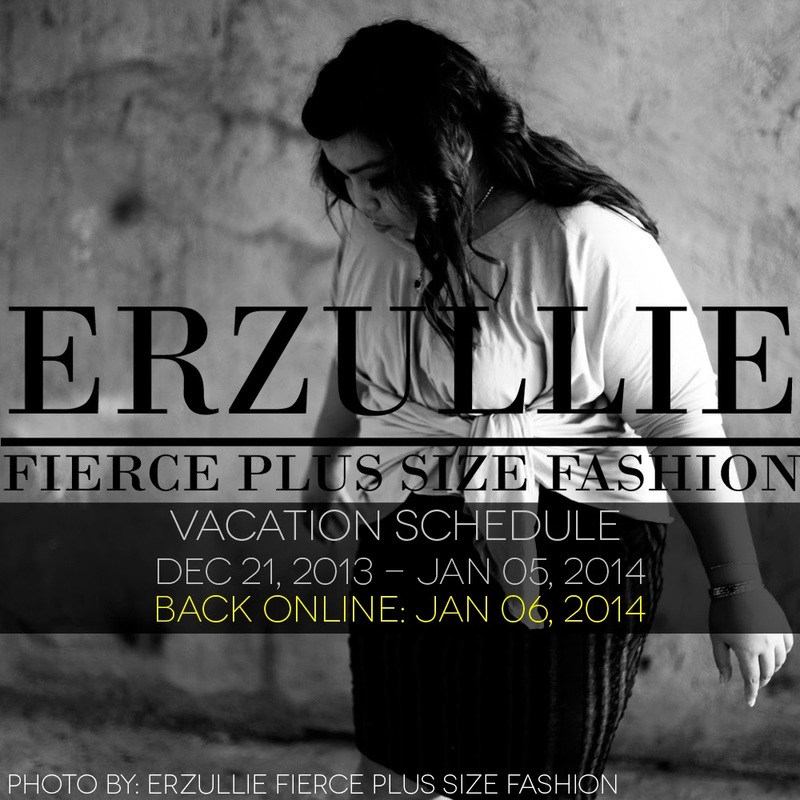 As such, we will be on vacation from December 21, 2013, Saturday until January 5, 2014, Sunday. All orders and inquiries received during those times will be accommodated by January 6, 2014, Monday. We will still be blogging though, because what would life be without some fierce plus size inspiration every day?